Lakeland DUI Defense Attorney - Lawyer, Providing Professional DUI Defense Attorney legal services for Lakeland, Winter Haven, Bartow, Polk County, and the surrounding Central Florida area. 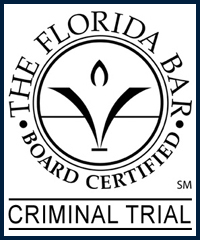 Call 863.660.2185 to Speak with Lakeland DUI Defense Attorney / Lawyer, Joshua E. Schoen. A person may be arrested and charged of a Criminal DUI Offense if it is determined that they are under the influence of alcoholic beverages, illegal drugs, prescription drugs or other controlled substances which may impair ones ability to safely operate a motor vehicle. Facing DUI charges is a serious matter as the nature of the offense puts others lives and property in danger. For this reason prosecutors and law enforcement typically will exhaust all legal means to in order to achieve a conviction. When arrested and charged with a criminal dui offense, it may be extremely important that you seek the legal advice and representation of experienced legal counsel. When an individual is pulled over for suspicion of Driving Under the Influence (DUI), they are often asked to undergo some form of a "Field of Sobriety Test", sometimes simply referred to as a "Sobriety test." These tests are inherently designed to ask you to perform actions which you would not normally perform. In short, they are designed to make you fail, giving probable cause to administer a breathalyzer test, or to force you to provide blood for a blood test. Putting the actions of law enforcement under a microscope to determine if an acceptable standard of probable cause existed, as well as if any of your civil rights were violated at any time leading up to , or during the course of your arrest. While many people believe that if you are arrested for a DUI, it is an open and shut case, the reality is that everyone makes mistakes during the course of their life; a human flaw that even law enforcement officers are not immune from. Protect your rights by seeking the legal advice and representation of an experienced Lakeland DUI Defense Attorney / Lawyer. Contact Lakeland DUI Defense Attorney / Lawyer Joshua E. Schoen at 863.660.2185 in the Lakeland, Winter Haven, Bartow, Polk County, and the surrounding Central Florida area.